CHARLOTTE AMALIE — St. Thomas has accepted its first passenger cruise ships since Hurricane Irma, a welcome milestone for the territory recovering from two major hurricanes. The Adventure of the Seas called upon the island Friday and Royal Princess will stop by today. The luxury ship Seabourn Odyssey called upon the island on November 3, according to the island’s tourism Facebook page. 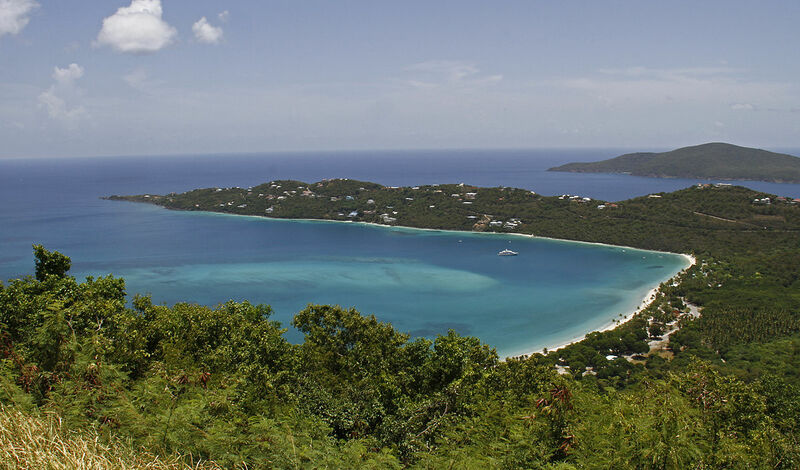 Magens Bay, one of the Caribbean’s best-known beaches, has also reopened to tourists. On the island tourism’s Facebook page, videos showed steel drum celebrations and dancing, along with tourists enjoying water sports. Hurricane Irma hit St. Thomas on September 6, causing significant damage on the island, as well as nearby St. John. While St. Croix was spared by that storm, it received the brunt of Hurricane Maria just a few weeks later. Neither St. John or St. Croix have received yet cruise ships yet, although the latter is expected to reopen soon. Cruise lines provided humanitarian aid to the islands after the storms, sending ships as relief vessels to bring supplies and evacuate residents. Royal Caribbean used Adventure of the Seas– the same ship that came to the island with tourists Friday — to deliver thousands of pounds of food, water and medicine. Before the storm, St. Thomas was one of the Caribbean’s premier ports, often having as many as six cruise ships a day. Although ships are returning one at a time for now, expect more to come; 60 ships are expected in December. Puerto Rico Has Become A 'Sinkhole Of Misery' Since Hurricane Maria ... But Is The Devastating Storm The Answer To All of Its Financial Problems?